On disc four, Lancaster starts with a brief summary of the previous lectures. We learned that Old Covenant doesn’t mean Old Testament, and it doesn’t even mean the Torah. It is an agreement God made with Israel (and only Israel) at Sinai stating that He would be Israel’s God and they would be His people as long as they obeyed His commandments (the conditions recorded in the Torah), and should Israel disobey, God would punish them and exile them (but not forever reject them). We also learned that the New Covenant doesn’t mean the New Testament and it doesn’t mean the Church. It also doesn’t mean “renewed” Covenant because it indeed is something new. The New Covenant is also an agreement made between God and the Houses of Judah and Israel (and only the Houses of Judah and Israel) and that, according to the writer of the Epistle to the Hebrews, the New Covenant is made of “better promises” and Jesus is the mediator of that New Covenant. 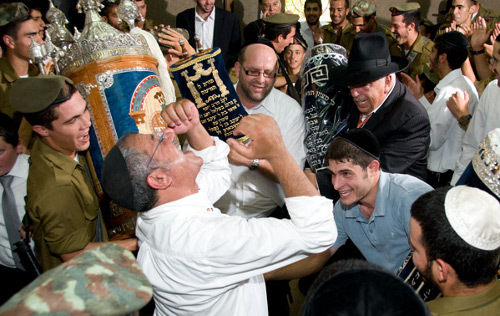 But what are the better promises and how can they be better if between the Old and New Covenants, God does not change even a single condition or requirement for Israel (the Torah mitzvot) but does change the hearts of all Jewish people, making it possible for them to correctly perform all of the mitzvot? To answer that question, Lancaster takes us through a study of a few of the chapters in the book of Jeremiah. This is why I like reading large portions of the Bible in one setting. I can get the full message of God to Israel in its complete context rather than parsing bits and pieces and verses together artificially to form a picture that might not be correct. “The days are surely coming” indicates the end of days, the final redemption, the future Messianic Era. For those Christians who believe that the New Covenant has already replaced the Old Covenant, this statement makes that particular doctrine impossible because the New Covenant hasn’t been enacted or completed yet. The death and resurrection of Jesus only got the ball rolling, so to speak. We’re still in the Old Covenant age. The Torah is still in effect as it always has been since Sinai. Notice (and I’ve mentioned this before) that the addressees of the New Covenant are “the house of Israel and the house of Judah.” This is only with the house of Israel and the house of Judah. Period. It’s an exclusive relationship between God and the Jewish people, just as the Old Covenant defined an exclusive relationship between God and the Jewish people. The New Covenant (pay attention please, this is important) has nothing to do with the nations, with Gentiles, or with anything called “Christianity” or “the Church.” The New Covenant does not create a stand-alone covenant relationship between the Church and God. The only covenant that all the people of the earth can claim for their (our) very own is the Noahide Covenant (Genesis 9:1-17). It will not be like the covenant that I made with their ancestors when I took them by the hand to bring them out of the land of Egypt—a covenant that they broke, though I was their husband, says the Lord. But this is the covenant that I will make with the house of Israel after those days, says the Lord: I will put my law within them, and I will write it on their hearts; and I will be their God, and they shall be my people. The next “better promise” is that God will make it possible for the Jewish people to obey His righteous standards and not sin by writing those standards on the Jewish heart. Lancaster says an oath the groom would recite at the wedding ceremony in the ancient near east was to declare, “I will be your husband and you will be my wife.” God declared “I will be a God to you and you will be a people to me,” but that was contingent upon Israel not disobeying God and worshiping idols. Idol worship was considered as adultery by God, a wife going astray with other lovers (gods). Under the Old Covenant, Israel went astray, but under the better promises of the New Covenant, since the Torah will be written on their hearts and not just on tablets and scrolls, Israel will never again “cheat” on God, so to speak, and will always remain faithful. 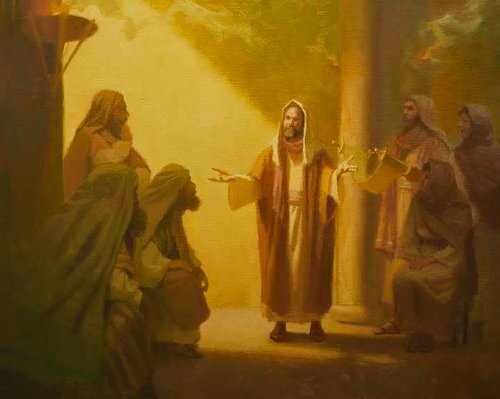 Under the Old Covenant, many times the people of Israel, including the Priests and Prophets knew about God, but they didn’t know Him in the sense of an intimate knowledge that led to obedience. This is often true of Jews and Christians today. It’s easy to study the Bible and learn about God but not so easy to live a life that is consistently, day-by-day, hour-by-hour pleasing to God. Under the New Covenant, there will be a universal revelation of God to the whole world. It will be natural for everyone to obey God. I know I said the New Covenant is an agreement just between God and the Jewish people, and I, or rather Lancaster, will get to the issue of Gentiles by the by. Lancaster didn’t cite Paul or Romans 11 but I felt it an appropriate addition. Lately, I’ve been hearing some bad opinions about Paul and his so-called anti-Torah, anti-Judaism, and anti-Jewish people letters, and I thought this would be a good time to clear some of that up, since Paul is preaching to the Romans New Covenant doctrine that is highly favorable to the Jewish people and to Israel. Jeremiah, according to Lancaster, is saying one of the “better promises” of the New Covenant mediated by Messiah, is that God will forget all of Israel’s sins which is what makes it possible for Paul to literally mean that “all Israel will be saved” rather than some tiny remnant who, according to the Church, must leave Judaism and convert and assimilate into (Gentile) Christianity. God doesn’t change the Torah. The Torah is unchangeable at its core. God does change the Jewish people so that they naturally will be faithful to God and God, for His part, will forgive all of Israel’s sins, from the Golden Calf forward throughout all of history and into the Messianic Age. That’s very good news, a wonderful gospel for the Jews. I suppose this could be two “better promises.” Israel will be a distinct nation and the Jewish people will be a distinct and identifiable people as long as there is a sun, a moon, stars, and a sea, which is to say, as long as the earth, our solar system, and the universe exists. It is also a promise that God will never reject Israel and the Jewish people and they will remain a people and a nation until the heavens can be measured and the foundations of the earth can be explored. These conditions, by the way, are rhetorical language meaning “always.” Israel will always be a nation before God and God will never reject the Jewish people. Ever. This flies in the face of the various churches who still adhere to some form of Replacement Theology because for them, the New Covenant replaces the Old Covenant, and they interpret that to mean that God rejected Israel permanently because Israel rejected Jesus as Messiah. God then replaced Israel with the (Gentile) Church which accepted Jesus. Now, the only way God will accept a Jew is for the Jew to reject Judaism and convert to (Gentile) Christianity. However, examining the New Covenant language reveals that Replacement Theology is hopelessly unBiblical. Who can count the number of times Jerusalem has been conquered and destroyed? OK, probably someone has, but the point is that historically, whenever Israel sins, the Temple is destroyed and Jerusalem is left in ruins. This “better promise” for the Jewish people states that Jerusalem will be rebuilt and expanded and it will never again be destroyed because the Jewish people will never again sin against God or other people. I don’t really want to reveal all of the better promises since if I do, you might not be as inclined to listen to the full lecture. 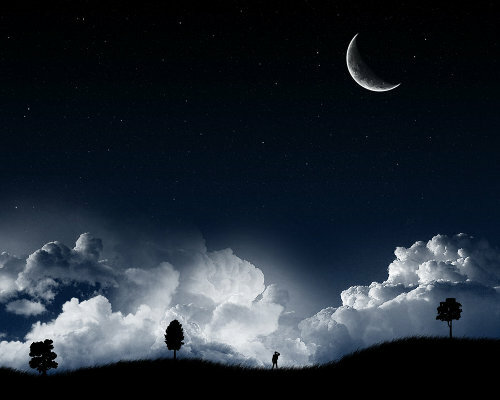 In brief, the other promises include the regathering of the Jewish people to their Land, giving the Jewish people all one heart, and one way (in my opinion, “the Way”) so that there will be no division among Jews, that the New Covenant will be everlasting, that God will rejoice over doing good for Israel, that a “righteous branch” meaning the Messiah, will rise from the line of David. In addition to a return of the Davidic dynasty on the throne of Israel, the line of Aaron and the Levitical priests will return, which means there must be a Temple for them to offer sacrifices in. But there is something more about Lancaster’s sermon I do want to reveal since it contains a dire warning. Historically, who has held Israel in contempt and said that God no longer regards the Jewish people as a nation? OK, just about everybody, but that “everybody” includes the Christian church. 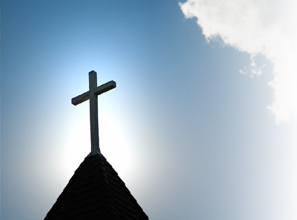 Even today, many churches continue to adhere to some form of Replacement or Fulfillment Theology, and any Christian who does espouse such a theology is who God, through Jeremiah, said “hold my people in such contempt” (emph. mine). Really, do you want to be on God’s “wrong side” by holding Israel in contempt, or even in the slightest degree, believe that God has rejected Israel and replaced her with the Church? In addition to their being more “better promises” and “good news” for the Jewish people in these chapters of Jeremiah, Lancaster mentioned that there are still more better promises littered about the various books of the Prophets including Isaiah, Ezekiel, Amos, and Joel. That’s really a lot of better promises and good news for Jewish people. But What About the Gentiles? Remember what I (citing Lancaster) said above about the New Covenant being made only with the House of Israel and the House of Judah? No mention of Gentiles at all. So do we even figure in? There’s a lot of language in the Apostolic Scriptures that says “yes” but we have to dig for it. However, from the point of view of the various Jewish sects in the late second temple period, including believing Jews in “the Way,” recalling the New Covenant language, the only way they could see how Gentiles could be included in these “better promises” was to convert to Judaism. That quote is from the study notes for the Sunday school class I attend when they were teaching on Acts 15 last September (here’s the link to the relevant blog post). What they couldn’t see was that the Jewish people asking these questions were not “Satanically-inspired” but rather, asking a legitimate question based on the Jeremiah 31 text. Paul knew that the Gentiles didn’t have to convert to Judaism in order to be included in better promises (hence his letter to the Galatians), and Peter witnessed this first hand as recorded in Acts 10:44-48, but no formal decision had been rendered by the Council of Apostles and Elders defining Gentile legal identity within the Jewish community. Acts 15:6-29 records a summary of the legal hearing, including the testimony of various witnesses, and the conclusion and ruling of the Council that Gentiles could be granted honorary status within the commonwealth of Israel, grafted into the nation (see Romans 11:11-24), but only because of their association with Israel through faith in King Messiah. That’s an incredibly vital point to get, because without the New Covenant “better promises” being applied exclusively to the House of Israel and the House of Judah, if God really did reject Israel and the Jewish people in perpetuity, then we Gentiles would have absolutely, positively no hope of salvation at all! Israel is central in God’s plan to redeem the people of all the nations of the earth. When King Messiah returns, he will be King of Israel, King of the Jews, and he will conquer all of the other nations and be their King. He will annex all of the other countries and Israel will be at the head of the nations, and all of the other nations will be vassal servants to Israel. As citizens of these vassal nations, we too will be annexed subjects of Israel and her King. The good news for the Gentiles is if we swear allegiance to King Messiah now, even before his return, we become his subjects and the New Covenant blessings become ours. No, we don’t become Jews because we are citizens of a nation annexed by Israel and not citizens of Israel itself. We are granted an honorary status in the commonwealth of Israel. We’re grafted in. As I’ve mentioned about a million times elsewhere, we don’t come under “One Law” in terms of being commanded to wear tzitzit, lay tefillin, and such, but we do become people who are called by His Name, and partisans or freedom fighters, so to speak, who are defending our King and his people until he returns and ascends his throne in Jerusalem, much as Robin Hood and his Merry Men of legend fought against the tyranny of Prince John and protected the innocent until King Richard’s return. And many peoples will come and say, “Come, let us go up to the mountain of the LORD, To the house of the God of Jacob; That He may teach us concerning His ways And that we may walk in His paths.” For the law will go forth from Zion And the word of the LORD from Jerusalem. If you want to be part of those “better promises” then please carefully consider everything you’ve read here today. 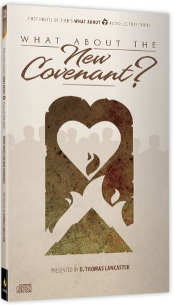 It really wouldn’t hurt and might do a great deal of good if you got a hold of the five-disc set of What’s New About the New Covenant and listened to all of the content, since it really applies to who we are as Christians and what God expects of us and of how we treat His people Israel. Our salvation comes from Israel and her firstborn son Yeshua of Nazareth, the Messiah, the King…not the other way around. Awesome blog post James. I felt like I was reliving my studies all over again. You really encapulated my experience, walk, and study of Messianic Judaism here. Please allow my reblog of this post. You’re talking my talk, your expressing my heart in regards to our Messianic life. This is what Yeshua has put on my heart as well. Thank you for the confirmations. Wow. Thanks a lot, Shimshon. I appreciate the complements and the reblog. Hope you don’t mind, Drake. I like your work. I agree, James. Your heart and mine are much alike in our estimation of who we are, what Israel is, and who we are in relation to Israel. It has never really been any different for me from the first time I walked into a Messianic synagogue and found myself home. And was accepted by those who already inhabited that home. Like a man who’d lost his memory, the Messianic Jews of my first West Coast synagogue experience took me in and taught me their ways, which were the ways of Yeshua and I am still so grateful for their time and patience and dedication that it will last through eternity. The showed me the way to most special intimacy with my Redeemer: through the way of Jewish life and vision and practice.I was a foreigner to the Judaism of Jesus and when they took me in out of the cold, Gentile world, they adopted me as one of their own in such a way as to convince me that what was theirs by birth and faith, through centuries of suffering and blood, could also be mine if I chose to make it mine as a fellow follower of Yeshua. They shared what was most precious to them and entrusted it to me. I will never forget that and will never demean it by acting it out in such a way as to lessen it or cause confusion regarding its intrinsic nature. It is an obligation that I live out my faith in Yeshua in full respect of my relationship to the Jewish people as a Gentile. I am a Gentile partisan fighter in service to the Jewish underground, if you will. I find that role an authentic and honored one; a role that strengthens the overall effort as one who walks in tandem with another, guarding their flank, if you will, not riding on their back. Thanks, Dan and Cynthia. Finished listening to the fifth and last disc yesterday. The review will publish next week. This is a great lecture series and I highly recommend it, especially for people who have a more traditional Christian view of what they think the New Covenant is supposed to mean. Dear James,you obviously have a vast knowledge of the various covenants but you are missing out on something very vital.I’ll try as much as I can to be very brief in expressing my thoughts about this matter…The old and the new covenants are based on the Abrahamic covenant. The Abrahamic covenat like you rightly said in one of your posts is an everlasting and unconditional covenant.The Mosaic covenant is conditional.The Jews needed to fulfil the law for the blessings attached to that covenant to rest upon them.Now,the new covenant has better promises than the old(Hebs 8) and Jesus initiated this covenant at the last supper when he took up the wine and gave to his disciples… (Math 26:27) but it didn’t come into effect until after his death because a will doesn’t come in effect until the death of the testator(Herbs 9:16).As the new covenant was initiated,Jesus legally took their place and the place of mankind.The life of the flesh is in the blood.A life for a life.He had always called himself the son of man,now he was legally going to die for mankind for if one died for all,then all died. I say again,the Christian is a product of the new covenant..God’s workmanship created in Christ Jesus(Epe 2:10)…God bless you. @Gerard — All of HaShem’s covenantal statements to Jews are based on fulfilling His promises to Avraham. Hence the Sinai covenant expressed in Torah is based on this; and the “new” covenant in Jeremiah, that reiterates the terms of the Sinai covenant by internalizing the Torah on Jewish hearts, has the same basis. So far, what you have written is accurate. However, the new covenant with Jews also presumes compliance with Torah — it merely treats that compliance as having become “second nature”. Note that a covenant and a “last will and testament” are not the same sort of legal enactment, and Rav Yeshua was not in any sense a “testator” whose legacy consisted of the new covenant. The new covenant was defined by HaShem just as much as the Sinai covenant, and Rav Yeshua was not HaShem (viz. : Phil.2:5-11). We must be careful not to conflate distinctive things, lest we miss the true understandings to be obtained by reference to them as examples and illustrations. Regrettably, we don’t have the space here to elucidate what was meant in the Hebrews references to such notions, nor to provide more clearly explanatory translations. 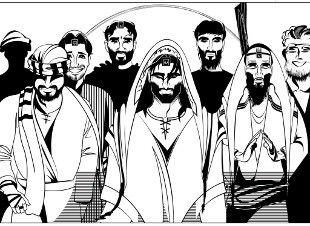 Further, much has been made of the phrase “one new man”, but few seem to recognize that it refers to a unified and renewed humanity — all of whom are benefitting from the symbolic sacrifice represented in Rav Yeshua’s martyrdom. Rav Yeshua did not abolish anything defined in the Torah or elucidated in the Prophetic writings (viz. :Mt.5:17-18; and note that Eph.2:15 is not referring to either the Torah or the Mosaic/Sinaitic covenant, but rather to a different sort of legal document announcing a verdict). You are correct that non-Jews do not participate in the new covenant, but they may benefit in a similar manner as do Jews under that covenant, by exercising a similar faith, trusting HaShem’s graciousness even as did Avraham. It is in this exercise of faith that a non-Jew may demonstrate a kinship with Avraham (expressed as “sonship” in Hebrew idiom, as in Gal.3:29). Hence, it is inaccurate to suggest that a Christian is a “product” of the new covenant. That is not a function of the covenant. 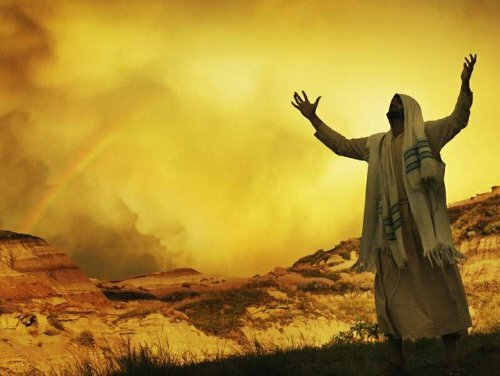 One may say that sanctification is a process implied in the new covenant, and redeemed non-Jews certainly may be expected to pursue such sanctification and to be granted it in HaShem’s graciousness (rather than because of any covenant). The new covenant with Jews thereby serves as an example to non-Jews of the blessings that may be obtained from HaShem. Obedience to Rav Yeshua’s teachings thereby leads one (i.e., “through him”) to approach the Father HaShem in order to achieve this redemption by becoming subject to “G-d’s Workmanship” and, in effect, created anew. I hope you find these clarifications meaningful, such that there really is nothing vital missing from James’ presentation.